Copy bluray/DVD to mkv files with high speed and great video quality.. I use it for ripping DVD’s so that I can watch movies on long flights when I travel.I find it an excellent product as it is effective yet simple to operate. Perfect Blu-ray Ripper. Perfect 4K Blu-ray Ripper. I have ripped my 4K Blu-ray The Martian to lossless MKV. Pros: Rip 4K Blu-ray. lossless MKV output. Awesome ripper to rip Blu-ray.. Awesome ripper to rip Blu-ray. 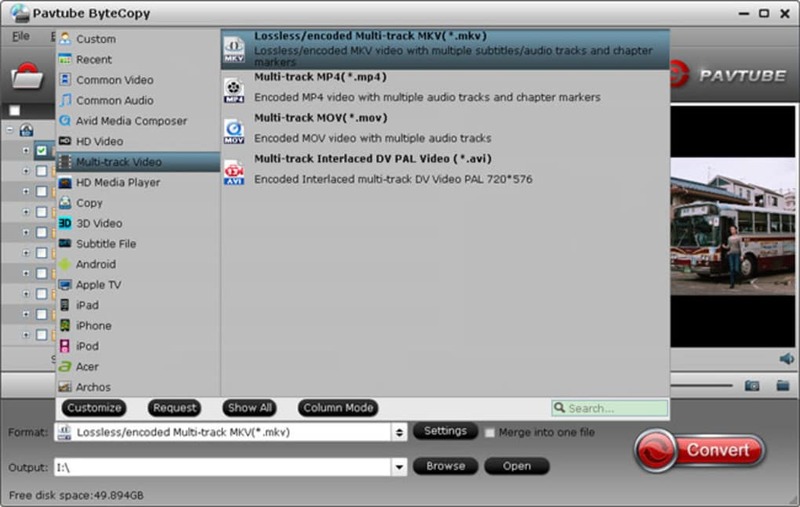 I love the multi-track MKV output best. When I get a new Blu-ray, I often use it to copy my Blu-ray to NAS to protect my new discs. ByteCopy can output 5.1/7.1 channel sound.. ByteCopy can output 5.1/7.1 channel sound. This point is very good. Pros: keeping original video quality. What do you think about Pavtube ByteCopy? Do you recommend it? Why?